The Parsons Family, Bill and Mary with daughters Rachael, Ali and Brooke, planted the seven-acre Parsonage Village Vineyard in June 1998. The south-facing hillside vineyard is 14 miles from the Pacific Ocean and a half mile east of the Village on Carmel Valley Road. The vineyard is planted to 3.5 acres of Syrah, 2.0 acres of Cabernet Sauvignon, 1.0 acre of Merlot and 0.5 acre of Petit Verdot. 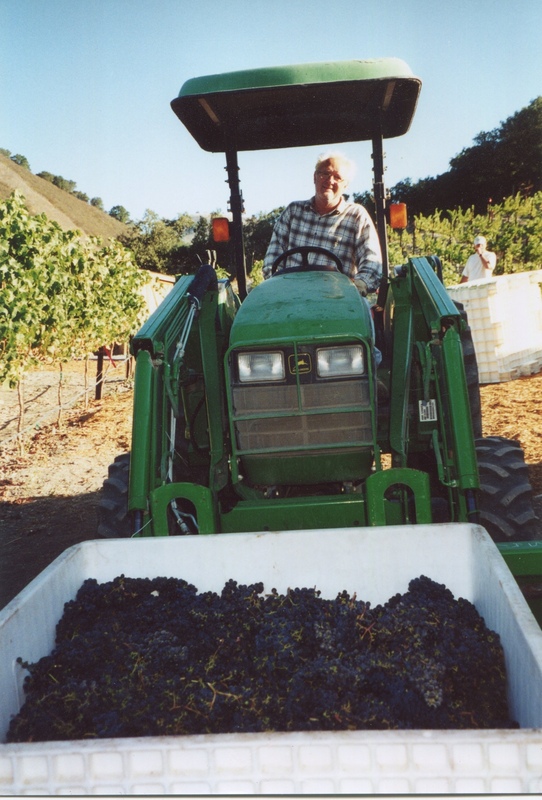 The Parsons were the first to plant Syrah in Carmel Valley. Yields averaged about half a ton per acre for the first harvest in 2000. The tiny yield was just enough to produce 200 cases. Annual production since then has been in the 1500-2000 case range. 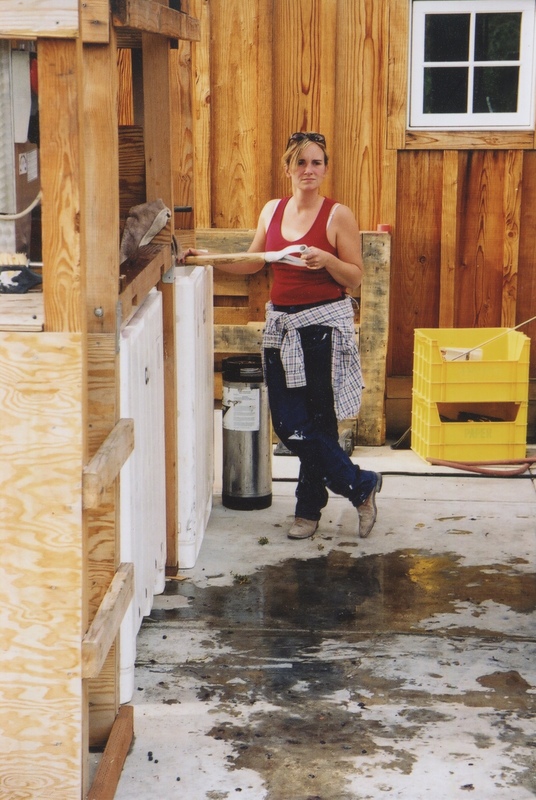 17 years later, Parsonage is still very much a family-run vineyard and winery. Ali's husband, Frank Melicia, has been the winemaker and vineyard manager for many years. Ali and Rachael also work full-time while Brooke and her husband, Marshall, help out whenever they can. Bill and Mary live in the center of the vineyard and pretend that they are semi-retired while the business roars around them every day. Bill and Mary Parsons planted their seven acre Parsonage Village Vineyard in 1998. How they arrived at that point in time was through a highly circuitous path. They both graduated from high schools in Whittier, CA, Bill from Sierra High in 1960 and Mary from Whittier High four years later. They never met and they never kissed during their Whittier days. Bill went on to UCLA , graduating in 1965. Mary morphed from a Cardinal into a Sagehen and graduated from Pomona College at Claremont in 1968. While Mary was finishing her courses in Claremont, Bill was playing hide-n-seek in the jungles of Vietnam while serving with 5th Special Forces. Bill got lucky after Vietnam, serving as an undercover agent handler/case officer for US Army Intelligence (the ultimate oxymoron) in Verona, Italy of all places. Bill and Mary met on a blind date in June of 1969. It was love at first sight. They married three months later. A short while later they moved to New York so Bill, with the aid of the G.I. Bill and Mary’s salary at the Columbia Journalism Review, could earn a Masters in journalism from Columbia University. The day after graduation in June, 1971 Bill and Mary were heading down the interstate in their new VW bus to destination Monterey/Salinas. Bill had been offered a job at the NBC affiliate in Salinas as a TV reporter. After a week on the road Bill reported for work but the job had dematerialized. The guy Bill was replacing changed his mind deciding to stay. Bill’s dreams of becoming the next Walter Cronkite were suddenly dashed. Desperate for a job, Bill hired on as a staff writer with the Carmel Pine Cone, a weekly newspaper. Sadly, his career as a journalist was destined to last only a year. Through a series of bizarre and convoluted events Bill ended up in the garbage business for 20 years. His first incarnation in the garbage world was G.M. of the Monterey Peninsula Waste Management District. Later he became a partner in a group of waste disposal companies named Carmel Marina Corp., now owned by Waste Management. After two decades Bill finally realized a career in the waste business was not the stuff his dreams were made of. Now planting a vineyard and creating a boutique winery – that was much more the stuff of Bill’s dreams. In 1997 after two years of wearing Mary down and getting her to buy into his dream the couple sold their Carmel home and bought a 9.25 acre parcel in Carmel Valley to begin a new chapter in their life.